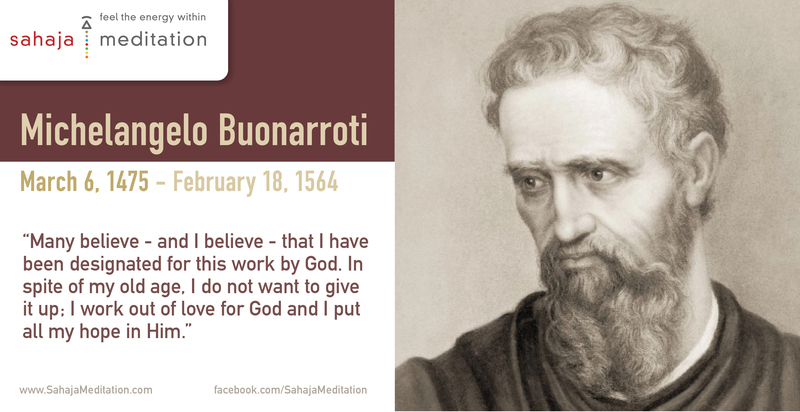 Today we are celebrating the birth anniversary of Michelangelo Buonarroti (March 6, 1475). Looking back through history at the period in which he lived, there was tremendous unrest and violence. Although Michelangelo was employed by the Catholic church for 50 years, he secretly followed ideas that were considered heresy to the church and punishable by death. Even though he was glorifying the Catholic church with his art, his heart and mind were filled with doubt and dissent. He was friends with those who were involved with the Reformation, specifically a secret group known as the “Spiritualists”. At this time, Martin Luther cried out against the moral decadence, the excessive wealth, and corruption in the Catholic church. In letters written to a friend, Michelangelo, a Catholic, yearned for religious reform. In one letter in particular, the artist supports one idea central to Luther’s attack on the church – that Divine Grace cannot be bought. You cannot pay the church, or build a chapel, or pay for masses to be said to save your soul, and expect that is going to save you. When asked how his soul could be saved, the church basically said to him to do good deeds and support the church, but the Spiritualists believed that only through faith alone, salvation could be achieved. 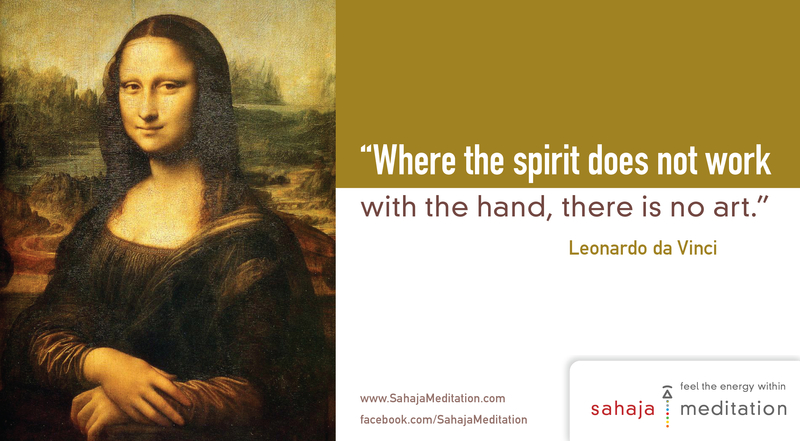 Michelangelo took the spiritual view on this delicate question. If he questioned the theology of the church, then he must have also questioned his role in furthering it. In private drawings, they center on Christ and leave the church completely out of the picture, bringing Christ directly to the people. 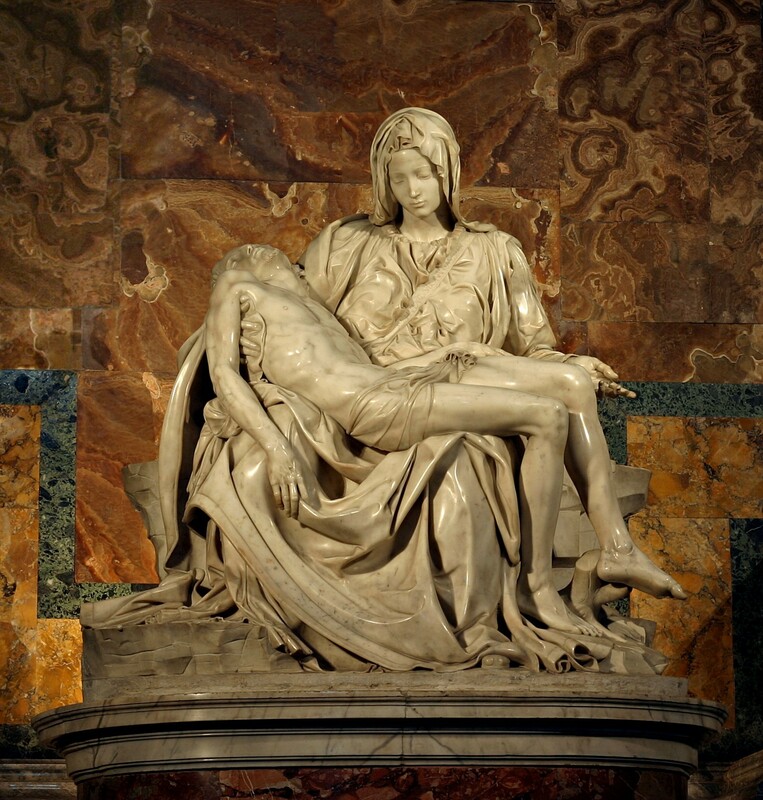 In 1536, Michelangelo was hired full-time as the Vatican’s supreme architect, painter, and sculptor. 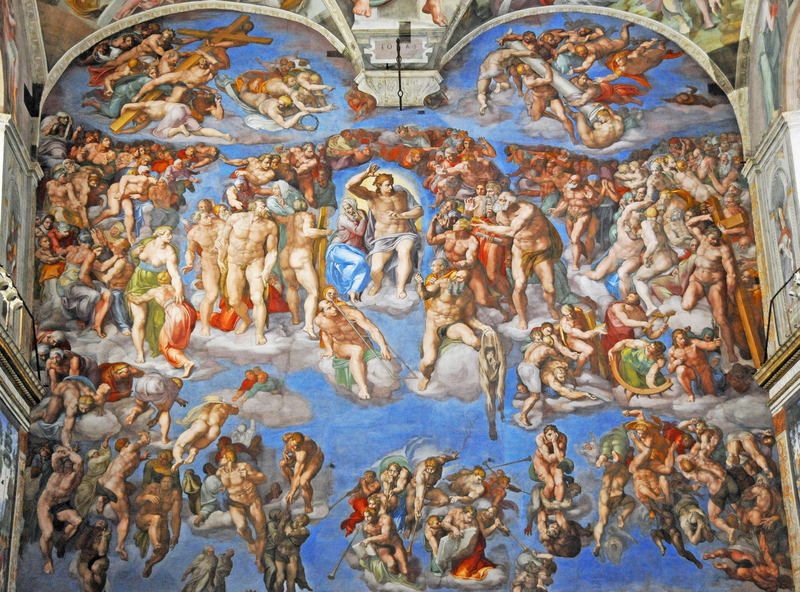 In 1541, he finished the fresco of The Last Judgment, but there was a verbal assault on the work by the conservative Catholics (the leader of which would eventually replace the current Pope against his wishes) saying the naked bodies were obscene and immoral, totally inappropriate for a Christian chapel. The artist was devastated. 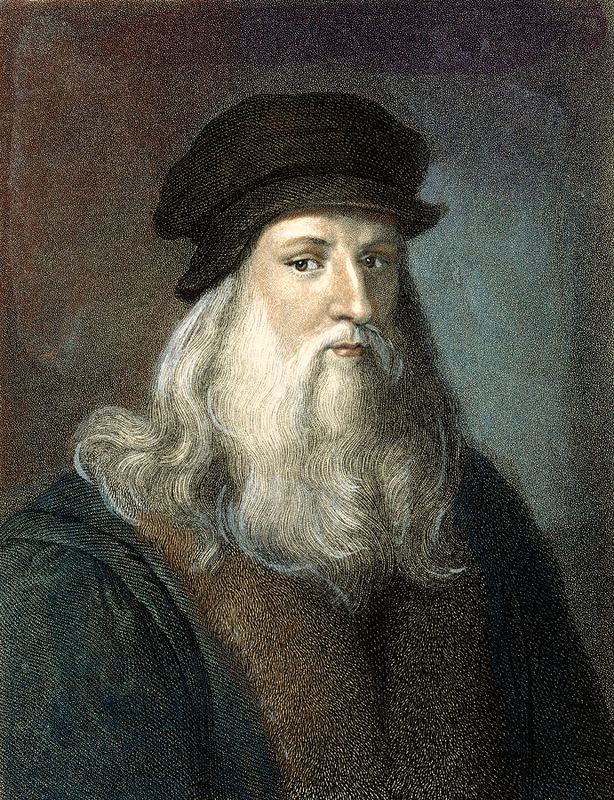 He wrote in anguish, “What judgment shall be so barbarous as to deny that Man’s foot is nobler than his boot, and that his skin is nobler than that of the sheep with which he covers himself.” His sensibility was the essence of the Renaissance. The focus was on the man, not the church. Fortunately, the current Pope immediately came to the painter’s defense and offered Michelangelo another high-profile Papal commission. These later frescoes in the Pope’s private chapel, outraged the conservatives even more for their lack of depicting the church hierarchy at all – no bishops or cardinals, only Christ with the people. The artist owned a Bible and, in his day, to own a Bible was considered a crime against the church. Only the clergy were allowed to have the Holy Book. Michelangelo was sharing signs with other Reformers who wanted to take the power of the church and return it to the people, that it was possible to reach God directly and without paying the church. 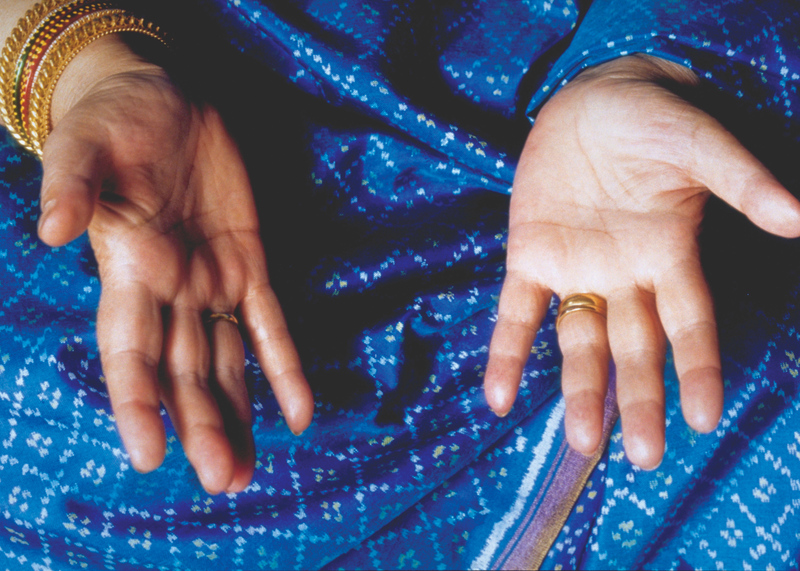 In 1543, the secret Spirituality group published a book outlining their ideas that salvation was directly through faith and that it implied that the church and its sacraments played no role in the salvation of Mankind. Michelangelo was present at this meeting. As soon as the book was circulated, the church declared it heretical and censored it. The artist had to keep his feelings hidden or face possible death as the Inquisition was reinstated. In one of his last works, a sculpture of Pope Julius II for his tomb, the sculptor shows the Pope with head bowed, minus most of his ceremonial garments. Michelangelo believed the best expression of papacy or any religious or spiritual figure would be to distance oneself from imperial grandeur and dedicate all ones energy to the private and urgent meditation of faith. Even his famous statue of Moses for the tomb was altered 40 years after he originally carved it and turned the head away from the altar to reinforce his current belief that man’s direct relationship with God was what mattered, not the role of the priests. 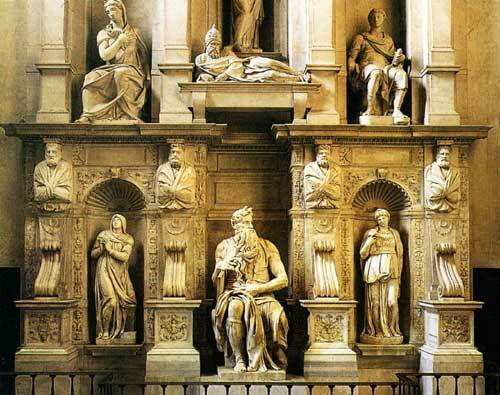 Michelangelo transformed this papal tomb to reflect the beliefs of “The Spiritual”. 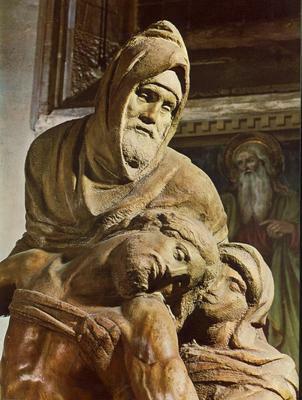 In his last sculpture, created for his own tomb, the artist carved himself as Nicodemus, the man who visited Christ on the cross at night because he didn’t have the courage to worship him openly by day. In this very personal sculpture, the sculptor clearly lamented his own torment at being unable to express his true faith in public. As Michelangelo felt death approaching, he burned almost all the letters and drawings he had left. He wanted no one to know his most intimate thoughts. Comforted by his illegal Bible, he passed away in bed, February 18th, 1564. His body was hushed out of Rome under bails of hay and returned to his native Florence, hundreds of his fellow citizens gathered in tears to pay homage to the man they called, “The Divine Artist”. 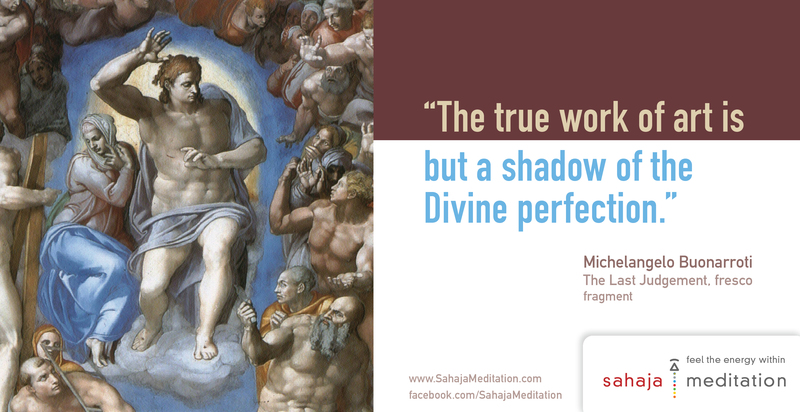 Only in death did Michelangelo finally escape the city at the heart of his inner turmoil. He spent a lifetime immortalizing and serving the church, but all the while, the remarkable painter, sculptor, and architect was struggling for the courage to openly represent his faith. 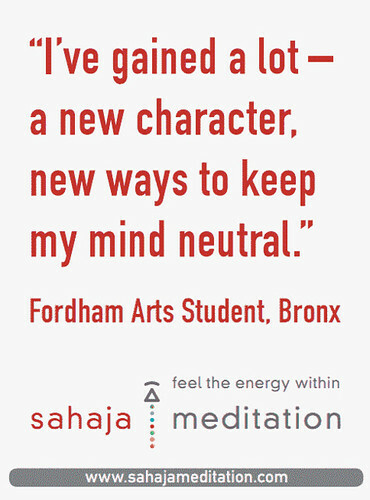 During my first stay in Pune, India, I was just beginning to learn how to meditate. This painting presented a simple yet powerful key to the mechanism of human liberation: the good angels will always rescue the children of the world from clutches of negativity, because they, themselves, are truly free. (Notice the clamp on the evil guy’s leg). No matter how seemingly powerful dark forces are, only the enlightened triumph in the rescue mission, as they themselves are truly free. The dark side may look very powerful on the outside — but it is limited, hollow and temporary.